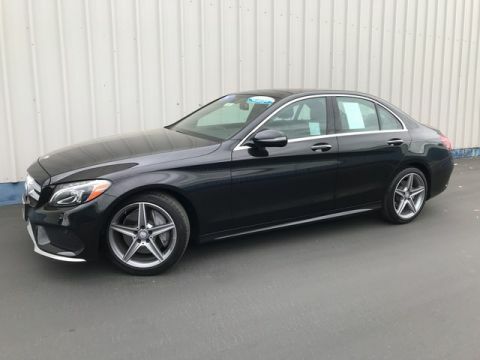 Mercedes-Benz Certified, GREAT MILES 36,151! EPA 34 MPG Hwy/25 MPG City! 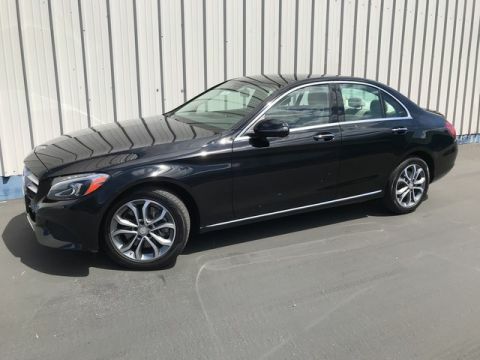 Nav System, Heated Seats, Moonroof, Turbo Charged Engine, Onboard Communications System, Dual Zone A/C, CD Player, iPod/MP3 Input, MULTIMEDIA PACKAGE CLICK ME!======KEY FEATURES INCLUDE: Turbocharged, iPod/MP3 Input, CD Player, Onboard Communications System, Dual Zone A/C Child Safety Locks, Steering Wheel Controls, Electronic Stability Control, Heated Mirrors, Electrochromic rearview mirror. 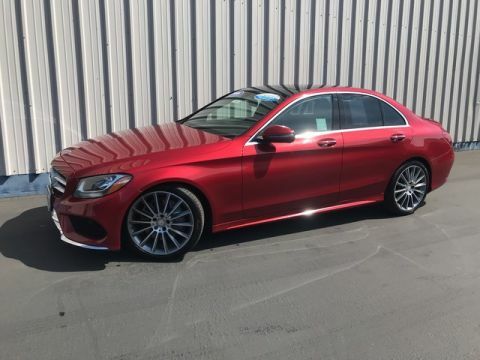 ======OPTION PACKAGES: MULTIMEDIA PACKAGE COMAND® Navigation & Voice Control, 8.4 high-resolution color screen, SiriusXM Traffic and Weather Services, Navigation Map Updates Included For 3 Years, SPORT PACKAGE AMG® bodystyling, sport suspension, 18 or 19 AMG® wheels w/high performance tires, Open Pore Black Ash trim, black headliner, sports seats, flat bottom sport steering wheel, front brakes w/perforated discs, aluminum pedals w/rubber studs, AMG® floormats and dash w/MB-TEX and top stitching, Artico Instrument Cluster, PANORAMA SUNROOF, PREMIUM 1 PACKAGE KEYLESS GO®, Surround Light Mirror Mounted Entry Lamps, Blind Spot Assist, SiriusXM Satellite Radio, HEATED FRONT SEATS, WHEELS: 19 AMG® MULTI-SPOKE Tires: 19 High-Performance, REAR VIEW CAMERA, REAR TRUNK LID SPOILER. 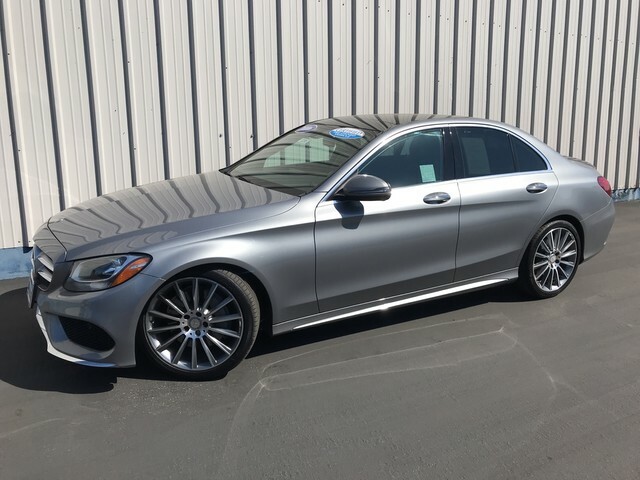 Mercedes-Benz C 300 Sport with Palladium Silver Metallic exterior and Sport Black MB-Tex interior features a 4 Cylinder Engine with 241 HP at 5550 RPM*. Balance of New Car Warranty plus 1 year/unlimited miles extended Limited Warranty, 24-Hour Roadside Assistance, Carfax Vehicle History Report, NO Deductible, Rigorous Inspection by Factory Certified Technicians, Exchange Privilege for 7 days or 500 miles, whichever comes first, Trip-Interruption Services Pricing analysis performed on 3/16/2019. Horsepower calculations based on trim engine configuration. Fuel economy calculations based on original manufacturer data for trim engine configuration. Please confirm the accuracy of the included equipment by calling us prior to purchase.